Goiters were often associated with iodine deficiency in European mountain areas, with some goiters being quite disfiguring. However, some goiters seem not to be related to iodine deficiency. One of the types of goiter that are unrelated to iodine deficiency is the disease described by Hakaru Hashimoto in 1912. Hashimoto described it as a special characteristic of a new type of lymphomatous thyroid tumor in Japan, and this entity was recognized as an autoimmune disease of the thyroid many years later. Hashimoto published his article in a German journal because that was the scientific language of the time, and he thought that writing in German would make the work more widely available around the world. Patients with Hashimoto’s thyroiditis are usually asymptomatic, and some patients develop goiters with or without hypothyroidism. The goiters and hypothyroidism usually respond to treatment with thyroid hormone. The dose of thyroid hormone must be carefully titrated because there may be autonomous thyroid function resulting from thyroid-stimulating antibodies despite the hypothyroid state. 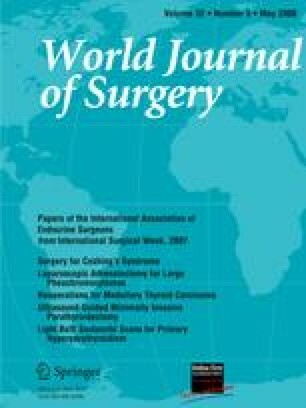 This article was presented at the lunchtime session “Meet the Experts: Thyroiditis,” International Association of Endocrine Surgeons meeting, Montreal, 2007. The authors thank Dr. Kazuo Hashimoto, Professor Emeritus, Kanazawa University, the son of Dr. Hakaru Hashimoto, for offering valuable materials.